Michel Roux Jr. outside of his famous restaurant, Le Gavroche. 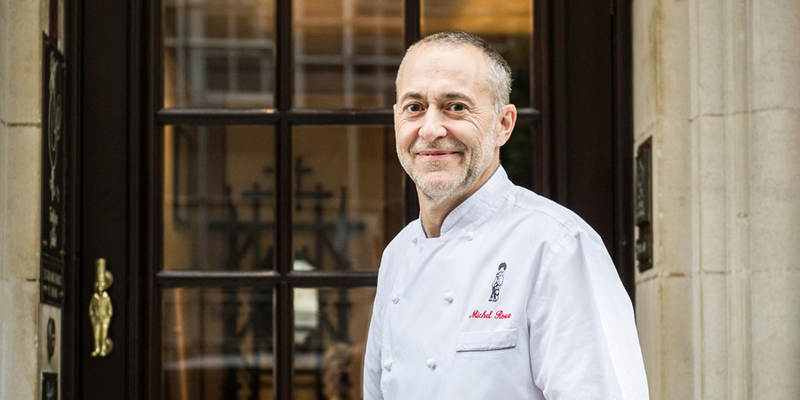 The organisers of the annual Food Management Today Industry Awards, YPL Exhibitions & Events, has confirmed that celebrity chef Michel Roux Jr. will be its new host for the prestigious awards lunch and ceremony, scheduled for March 12th 2020. 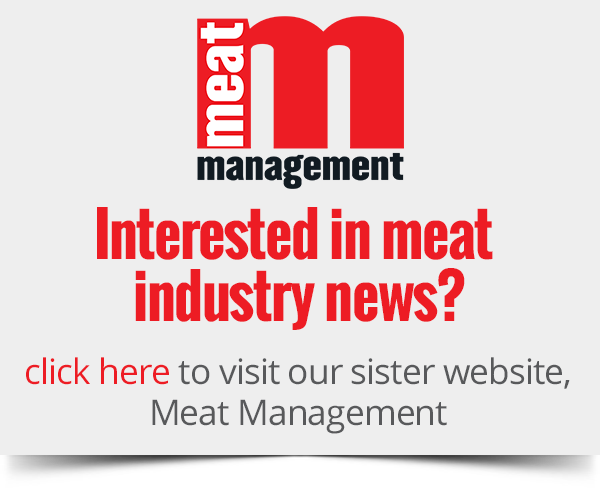 Commenting on the news, managing editor and publisher of Food Management Today magazine Graham Yandell said: “We are genuinely excited that Michel has agreed to endorse our Awards and I am certain that guests and our Award partners will be too. 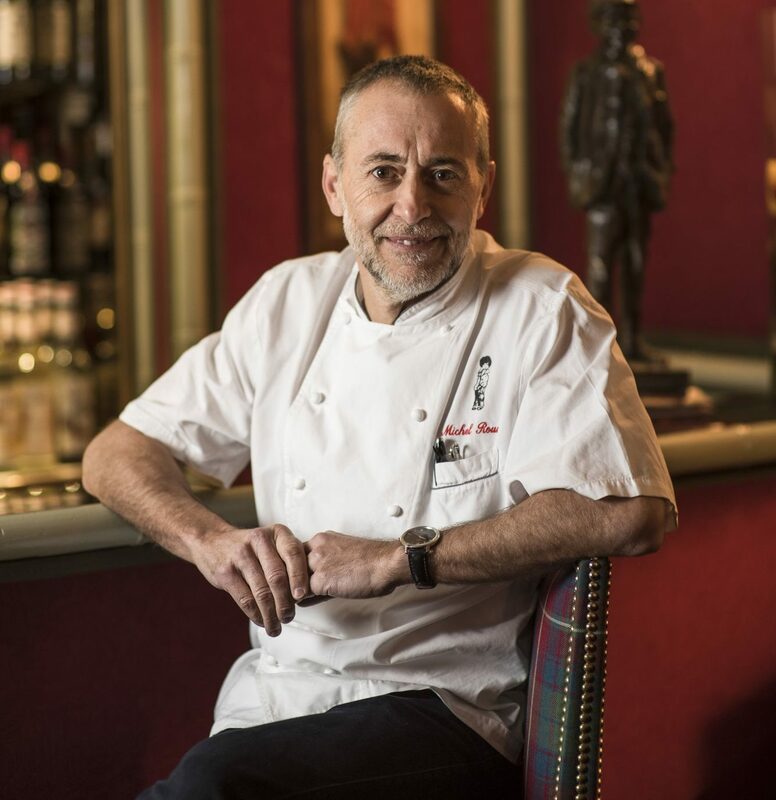 One of the country’s most highly regarded chefs, Michel Roux Jr, took over running the world famous Le Gavroche in 1991 from his father Albert Roux OBE, who founded Le Gavroche in 1967 with his brother Michel. Michel Jr. gradually changed the style of cooking to his own, whilst staying true to the restaurant’s roots of classic French cuisine, but offering a slightly lighter, more modern twist to its fantastic food. Michel subsequently opened Roux at Parliament Square in May 2010 with Restaurant Associates, part of the Compass Group UK and Ireland. In November 2010, he opened Roux at The Landau at London’s prestigious luxury hotel, The Langham, London. Michel further strengthened his relationship with The Langham in 2015 when it was announced that Chez Roux Ltd., would operate the hotel’s food and beverage outlets and conference and events banqueting, to include Palm Court and Private Dining by Roux. In 2017, The Langham and Michel launched The Wigmore, a new modern British tavern located on Regent Street, described as a new social institution with a touch of London polish. Michel was also a well-known judge and presenter on the BBC’s popular prime time show, MasterChef: The Professionals, from 2008 to 2013, and then presented the series Great British Food Revival. A host of other television work has followed to the present day, including BBC2’s Food and Drink, Michel Roux’s Service, with Fred Sirieix, and Disney Channels: First Class Chefs, plus Channel 4’s Hidden Kitchens, to name just a few. Michel is a respected author as well as a broadcaster, and has written many highly successful cook books. In his most recent cookbook, The French Revolution which was published in October 2018, he revisits classic dishes from his traditional French upbringing. Always in the vanguard of a changing food scene, in 2017, football club Tottenham Hotspur announced that the Roux family, including Michel, his father Albert Roux OBE, and daughter Emily Roux, would be part of the line-up of world-renowned chefs bringing their expertise to the premium offering at the club’s £1b new stadium. The Roux’s will be bringing their celebrated cuisine to the prestigious On Four Lounges and various suites at the stadium to create a Michelin-calibre offering never seen before at a sports and entertainment venue of this type. To make enquiries or to book tables or tickets email emma.c@yandellmedia.com or phone 01908 613323.